SuperKids: Skills to Read. Power to Lead. Here at Great Shape! Inc. we nurture more than Jamaica’s smile. We are excited to be entering the second week of our new education project called “SuperKids”. 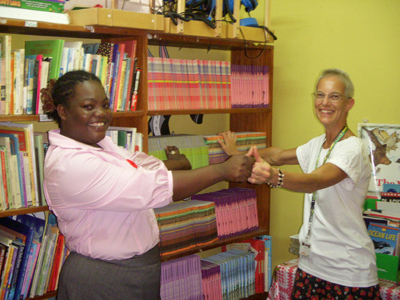 Seven schools in and around Ocho Rios are receiving educators from all fields including art, music, computer science and reading with a motto “skills to read. 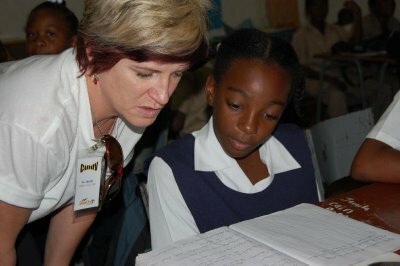 power to lead.” With 14,000 books donated by First Book, we are preparing schools with an inspiring program that makes learning fun. 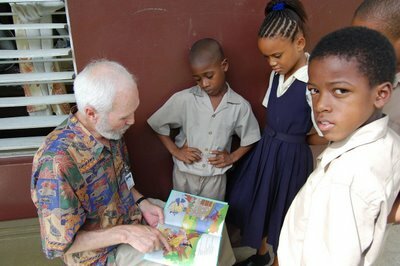 Our “Book in Bag” program sends children home with books to share with their families and offers incentives for them to continue reading. Four schools received computer learning centers, that allow students to engage with technology as a learning tool. 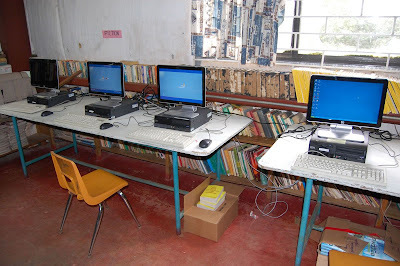 MANY THANKS to Inland Retech and supporters that donated the machines and monitors. As often happens with a vision, one thing leads to another, and we found that merely supplying the books just wasn’t enough. 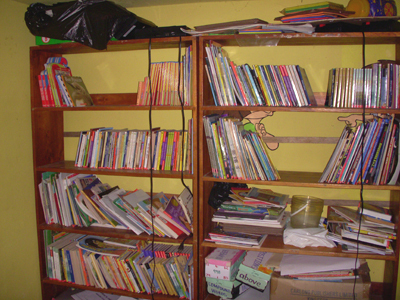 The libraries needed organized for easier access. In one afternoon, we created the reference section, fiction, and made space for First Book titles, and some room to dream! The children, teachers and administrators have been so receptive to the program and greeted our volunteers with the One Love!